- Previous infant with invasive GBS disease. - GBS bacteriuria / positive culture during current pregnancy. The triad of Arthritis, Erythema Nodosum & Hilar adenopathy seen in sarcoidosis. 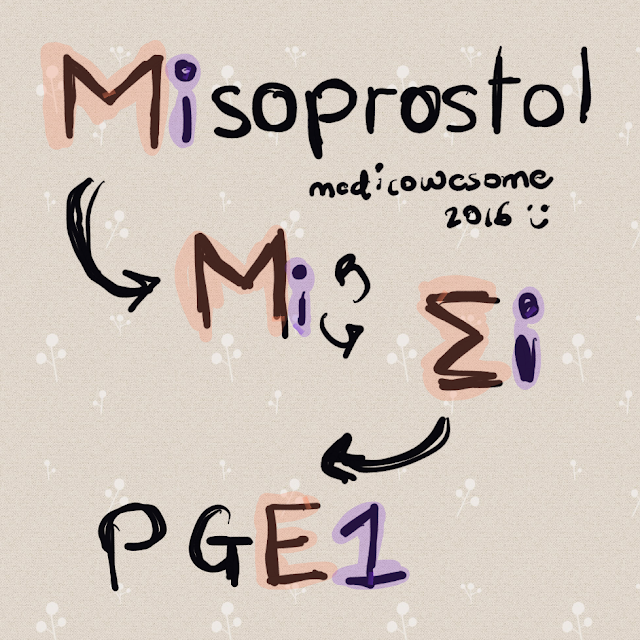 MIsoprostol - M flipped is E and I looks like 1. In this post, I'll be sharing a mnemonic on overflow incontinence! Precocious puberty in females is secondary sexual characteristics, accelerated growth in females greater than 8 years of age. Here's an overview of interpretations from the BPP score. No fetal indication for intervention. Equivocal. Repeat test within 24 hours. Fetal lungs mature (>37 weeks), deliver. Fetal lungs immature, betamethasone, repeat test within 24 hours. General rule: If oligohydramnios, consider delivery. Assess clinical scenario, consider delivery depending on gestational age, risk of fetal, maternal death, etc. Deliver regardless of gestational age. Rh incompatibility in second pregnancy. In presence of ABO incompatibility, Rh incompatibility, has lesser effect. The most common group O has anti A IgM, anti B IgM and anti AB IgG. Group A has anti B IgM. Group B has anti A IgM. Group AB has no antibodies. So if I was dumb enough to transfuse GroupyA blood to a group B guy there would be hemolysis. But what would be the mechanism for this? The patient with group B would have anti A IgM. IgM is a very potent complement activator. IgM is very trigger itchy, it first shoots the cell and then asks questions. So this hemolysis is very fast. Now coming to the Rh question, imagine there was a mom with O- group and baby with O+ group. In first pregnancy, the mom is not exposed to the Rh antigen until delivery, so the 1st baby is safe. But there would be a mixture of baby and mom's blood. You can see that this will, obviously, take time time. When she gets pregnant with Rh incompatibile kid again, the IgG have been synthesized and they cross placenta and attack the baby RBC's. Voila - Hydrops fetalis. Now imagine a mom who is O- and has a baby with A+ group. This time, at delivery, there is mixing of blood again! 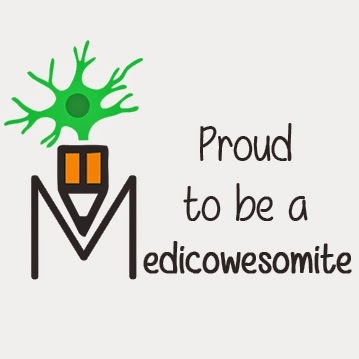 But the mom has anti A IgM which is so fast like a ninja, kills of the majority of the cells before they go for their interrogation with macrophages in spleen... So ABO incompatibility actually protects against the Rh sensitization. What's the clinical significance of Rh incompatibility? Whenever you take care of a pregnant lady, you will confirm her blood group and if you suspect Rh incompatibility you would give her "Rh IgG" (standard dose) at 28 weeks, even though the fetal blood is not exposed to mom's immune system, this is done just in case - there might be a fall, injury etc and baby's blood may get into mom's circulation. Why do you give Rh IgG when you want prevent the disease which is itself caused by IgG? Rh IgG are heat treated and they cannot cross the placental barrier unlike normal IgG. And finally, you give another dose of Rh IgG after delivery. But this time, you actually estimate the amount of fetal blood which is mixed with mom's blood by doing "Kleihauer betke test" and you give an appropriate dose. Scenario 1: Patient is a rose gardener. Scenario 2: Patient is an aquarium cleaner. Scenario 3: Patient is a vegetable labourer in a farm. Honey colored drainage is seen at the site of ulceration. It is followed by subcutaneous nodules draining the primary lesion. Scenario 4: There was a painful chancre at the primary lesion. 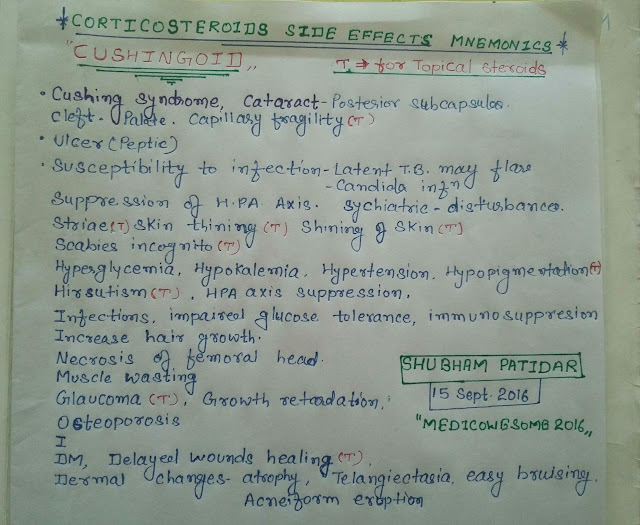 After 5 days, tender lymphadenitis developed. Scenario 3: Lymphocutaneous disease by nocardia brasiliensis. Sporotrichosis, often occurring in gardeners, remains the most recognized cause of nodular lymphangitis. Injuries sustained in marine environments suggest Mycobacterium marinum infection. An incubation time of 1 to 5 days, a painful chancre at the initial lesion site, and prominent tender lymphadenitis strongly implicate tularemia. Frankly purulent discharge from the primary lesion is associated with some infections due to Francisella and Nocardia species. In today's post, I want to emphasise that the drug of choice for treatment of nocardia is TMP SMX. That's it! Remember H for Hantavirus infections. Hantavirus infections are associated with high Hematocrit, pulmonary edema (Heart failure like lungs), Hemorrhagic fever and Hypotension. They're transmitted through deer mice feces. Why is cefotaxime preferred over ceftriaxone in neonates and patient with liver disease? Ceftriaxone-induced biliary sludge is a solubility problem that occurs in patients receiving high-dose treatment (greater than or equal to 2 g). The risk of developing ceftriaxone-associated biliary "pseudolithiasis" increases with increasing ceftriaxone dose and in patients with impaired gallbladder emptying. Cefotaxime has renal excretion and therefore preferred over ceftriaxone. Angiotensin converting enzyme inhibitors (ACEI) are contraindicated in bilateral renal artery stenosis. Why? In renal artery stenosis, renal perfusion is less and hence GFR is low. In such a case, nephrons adapt the filtration by causing efferent arteriolar constriction to maintain the pressure needed for filtration. If ACEI is given, there is dilation of efferent arteriole and renal perfusion will again decrease further and GFR will become more low. Hence, contraindicated. In bilateral renal stenosis, the effective renal blood flow is not significantly reduced but maintained at the cost of increasing the efferent artery tone. ACEI causes inhibition of angiotensin 2, leading to efferent artery vasodilation in glomerulus. This decreases intra glomerular pressure and filtration, resulting in renal function detoriation. An important MCQ they like asking is that if the patient doesn't respond to pain, doesn't open his eyes and doesn't talk - What is the GCS? You'll be tempted to mark zero. Remember, the lower limit of GCS is 3, not 0. What a great day to study today! 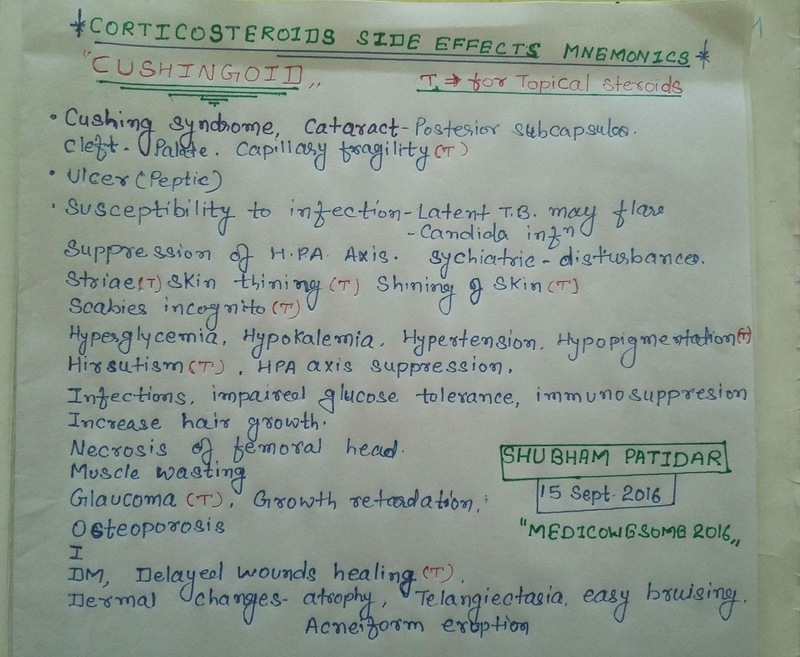 In this post, I uploaded my notes on corticosteroids side effects mnemonics. I'm glad I could be of help to all of you. I created this image for Jason Compton. Last year, they did a play on Beta Blockers at RhinoFest and used one of my illustrations for it. Even though I couldn't attend it, I'm always glad to be a part of being a fun way of information spreading! 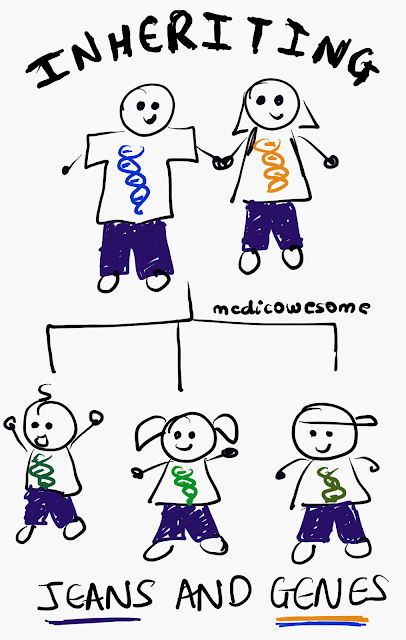 This year, they're doing a family (multi-generational) theme and educating about genetics, inherited traits, etc. I created this fun image for them. Parents "hand me down" their clothes (jeans) and genes! The blue and yellow DNA mix to form different shades of green in the children. What is the difference between orthopnea and paroxysmal nocturnal dyspnoea? Orthopnea is dyspnea in the recumbent position. PND is acute shortness of breath and cough, usually occurring after 1-3 hours of sleep. Orthopnea is relieved by sitting upright, PND persists even after assuming the upright position. 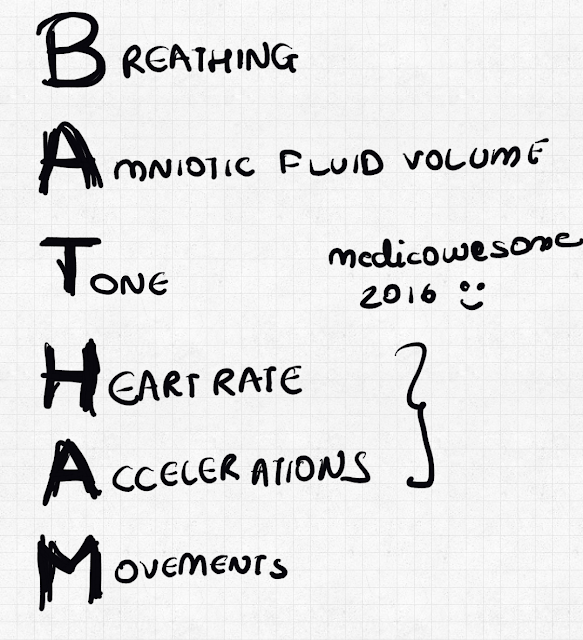 Where will you check for edema in a bed ridden patient? In the sacral area or in the scrotum. I'll keep this post short and point wise. Best initial: Chest x-ray (CXR). This post focuses on the localization of the lesion in stroke, re-written from Harrison. I divide this post into "Important to know" and "Extra notes" which are optional to learn about. A stroke, or cerebrovascular accident, is defined by this abrupt onset of a neurologic deficit that is attributable to a focal vascular cause. Causes of ischemic stroke here. (3) small-vessel disease of either vascular bed. During vivas, you'll mostly be asked to localize the lesion into anterior circulation (ACA vs MCA). They don't expect much, but you should at least know the divisions (anterior circulation vs posterior circulation), occlusion of which artery involves speech, monoparesis of a leg is seen in stroke involving which artery, etc. Just the basics.